Color: Denim Capacity: 12oz Temperature: Cold up to 24 hours and hot up to 12 hours Material: Thicker, Professional Grade - 18/8 Stainless Steel Cap: Flip & Sip Kid-Safe Cap with Straw These NEW 12oz Kids Bottles feature the same great technology that Swig Life is known for, but with bigger and better features. Each Signature Swig Life Kids Bottle keeps drinks cold up to 24 hours and hot up to 12 with its double-wall, vacuum-sealed copper coated insulation. A flip & sip kid-safe straw is housed in the air-tight, BPA-free plastic cap, which also features a small handle for easy carrying. Always use caution when handling hot liquids and please take care not to drink hot liquids from the straw. The non-slip silicone base keeps your bottles from tipping or making too much noise when you set them down. 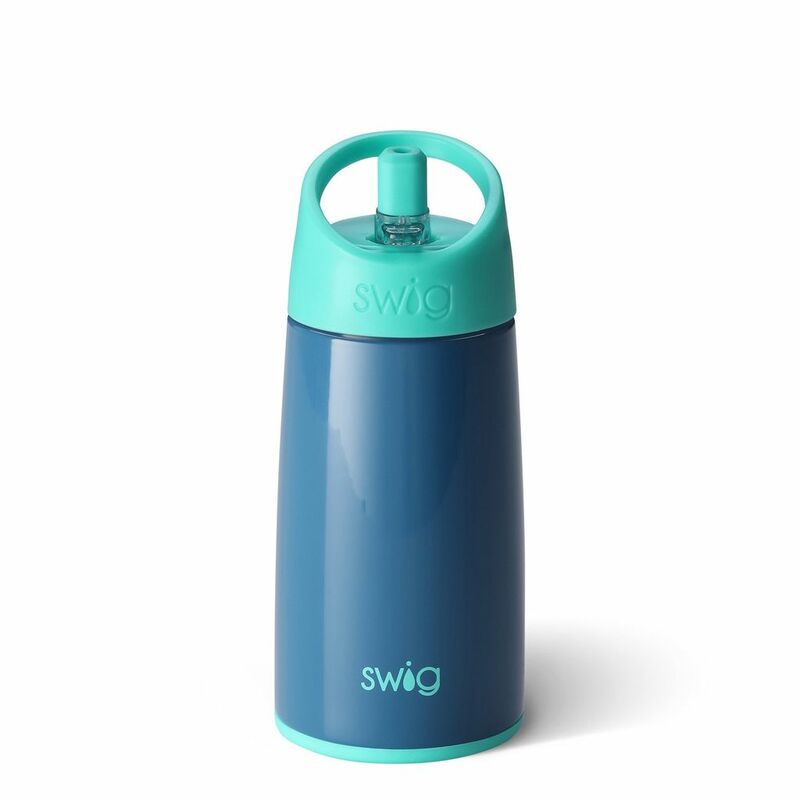 The powder-coated finish keeps your Swig looking fresh and is dishwasher safe! With 9 colors to choose from, Swig Life 12oz Kids Bottles are perfect to travel with your little one from the classroom to playdates to weekend sleepovers.